Sadly we live in unequal communities, within unequal countries, in a grossly unequal world. I don’t know if there is any sane solution to the perpetual conundrum of balancing the have/have not equation but I greatly admire those who give it some sort of shot. One such person is Lauren Bush (yes, let’s get this out-of-the-way, she is a niece of George W. Bush) she is also the fiancée of David Lauren, son of Ralph Lauren; I don’t know what she will be know as after her marriage but she could of course be Lauren Lauren. All of that is beside the point, as what I wanted to write about is her brainchild the Feed Project, to which she has devoted considerable time and energy. Unfortunately when I attempted to order a couple of items, via the website, I discovered that postage (to Ireland) on a $65 order was $61 so I decided not to proceed. 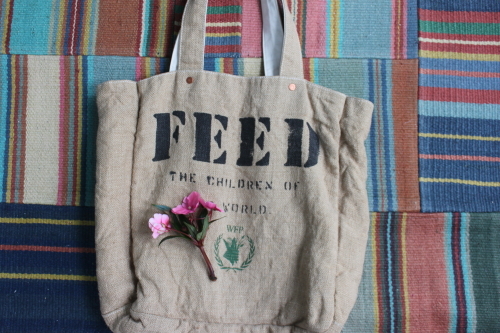 Feed bags are available in Harrods in London, which is where I bought my Feed One tote a few years ago (I think it was £38). 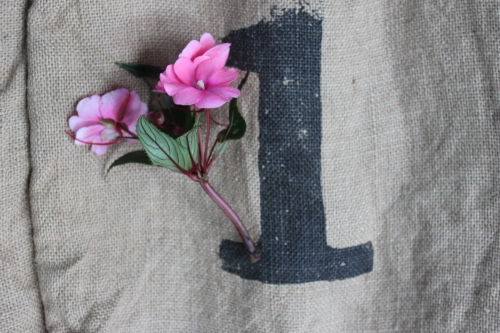 The large One on the bag indicates that each Feed One bag purchased enables the Feed project, via a donation to The United Nations World Food Programme, to provide school lunch for a child in Africa for one year. Because of my difficulty in ordering Feed products I wondered if I should continue with this post; I decided to go ahead as today is World Humanitarian Day and if you are so minded there are lots of other ways to give. Below is a video of Lauren talking about her work. It’s a great idea, but the postage would certainly put you off. We sponsor a child in Africa and India – girls, because I think get a completely raw deal. Hi, yes the postage is steep. What a good thing to do sponsoring children in Africa and India.